Why was the regulation revised? The changes are a result of factors such as technological advances, new product innovation due to research and development, and the need for aligning national legislation with international standards. According to health legislation and international standards, dairy products cannot be claimed to be ‘low-fat’ if the total fat content exceeds 1.5% in the case of liquid products, such as milk, or 3% in the case of solid food products. As South Africa is a member of the World Trade Organization and therefore subscribes to the rules of fair international trade, the amendment also prevents possible technical trade barriers. What is different in the new regulation? How are the new fat classes defined? What is the protein content of milk in the different fat classes? What is the carbohydrate content of milk? Does the new regulation also apply to yoghurt and cheese? 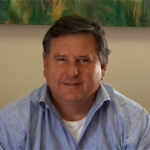 Jompie Burger is the Managing Director of the Dairy Standard Agency (DSA), an independent non-profit organisation which primary objective is to promote dairy quality (product composition) and safety in the interest of the industry and the consumer.